The Food and Drug Administration kicked off more aggressive oversight of dietary supplements such as vitamins and minerals Monday by putting companies that illegally claimed to cure serious ailments on notice. Agency officials sent 12 warning letters to companies telling them to either take down false information or stop selling the products. 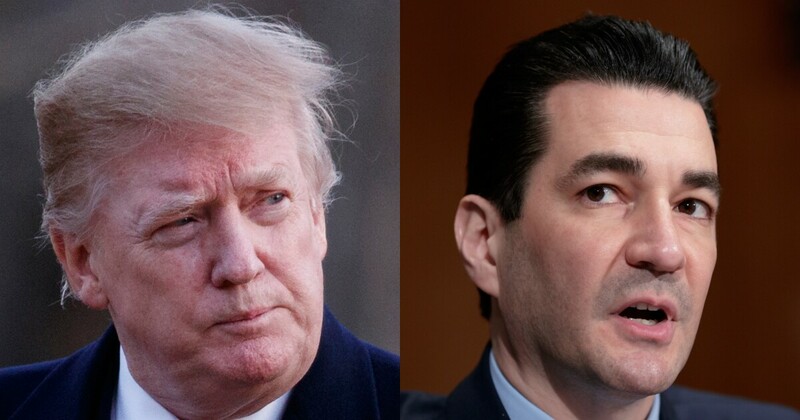 FDA Commissioner Scott Gottlieb said in a blog post that companies falsely said their products could treat or cure Alzheimer’s disease, diabetes, and cancer. Gottlieb pledged the agency would be more proactive in regulating supplements, including by alerting the public of potential dangers faster and considering ways it could more strictly enforce rules. The plan, he said, would be one of the most significant changes the industry has seen in more than 25 years. Supplements do not need FDA approval to be sold, unlike prescription drugs that are sold at the pharmacy counter. The approval prescription drugs get from federal regulators is to make sure they are safe and effective, and they are continuously monitored after to see whether they need to contain additional warnings about side effects. But for supplements, which are sold over the counter, the FDA generally has to wait for reports and complaints to see whether products are harmful, though officials can act when they see products are being falsely advertised or when they learn supplements are spiked with prescription drugs. Companies that sell dietary supplements can claim on their labels that their products have potential benefits to human health, but they are not allowed to claim that they prevent, cure, or treat diseases. To outright ban a product, FDA needs to demonstrate that it caused harm to people who used it exactly as the manufacturer directed on its labeling. Gottlieb suggested in a statement Monday that the agency may recommend Congress provide more authority to oversee supplements, which 3 in 4 people in the U.S. take. When Congress initially set rules around supplements 25 years ago, it was a $4 billion industry with 4,000 products. Now, it’s worth $40 billion, and an estimated 80,000 products are on the market. While pledging greater oversight, Gottlieb also said he did not want to stifle innovation and admitted that he had “personally benefited” from taking dietary supplements. Actions by the FDA last year suggested that the agency would be overseeing supplements more aggressively. In April it threatened to take action against companies that sell powdered pure caffeine in bulk. Less than two tablespoons is considered deadly for most adults. In November, it warned consumers not to buy Rhino male enhancement products because they contained the same active ingredients as Viagra and Cialis, which treat erectile dysfunction.